Even on your cloudy rainy days, our maintenance team will be there to take request and help you fix anything that you will need. We respect all privacy and will require the lease holder to make the requests for the safety of all of our residents. Moving is hard. Our well trained agents will help you navigate the location and help you make the move to your new home much easier. We are a located in the small town of Watford City. Schools are close by and stores are easy to locate. You’ll feel right at home before you even set foot into your new home. When learning more about our community, we want to give you the fullest experience right here from our website. Go to our photo section of our website to view our community as well as taking the virtual tours on our floor plans page. It’s a great opportunity for you to visualize your new home and become a part of the Emerald Ridge community. There are a lot of apartment and housing complexes in our market. When deciding to pick a place, the most important part is finding a place that you can feel at home at and that is in your budget. We have garages available for our residents to making the moving process much more simplistic and a great way to keep your car out of the North Dakota elements. We appreciate each person who comes into our complex. We don’t just want you to pick homes, we want our homes to pick you. In a studio all the way to our town homes, our closets give you ample amount of space to utilize all of the space needed to fit all of your much needed belongings . The essential washer and dryer connections are available to residents. The last thing you need is to worry if there are washer and dryer connections. At Emerald Ridge, we take care of the connection making it an easy transition to stop moving and start living. Who doesn’t like a little wood flooring? To give our home a classy feel and authentic environment, our kitchens all have hardwood flooring. It makes for an easy clean up with cooking for guest and adds diversity to the floor plan as a whole. Get moved in without missing a beat. Furnished leasing is available in our homes. The costs do vary depending on the furniture you would like in your new home. Feel free to check the floor plans page for rates and call us for availability on furnished homes. Your furry partners are welcome. We are a pet friendly community. We love all animals and would love for your best friends and family members come along. Please read our full pet policy to see if your pets meet the requirements listed. Any specific questions can be handled with our onsite team such as breed restrictions or exotic animals. No time to look at your new home? We do have options for signing a lease sight unseen. We would suggest that you resource all of our tools available on the website to make sure you see what your homes look like before making the next big step to signing a lease. 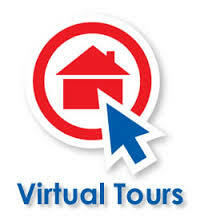 We have virtual tours available in our floor plan sections and photos available for you to visualize your new home. No Twelve month lease required. Emerald Ridge does offer short term leasing. As of right now, we offer six month leasing for future residents. Please contact our onsite team about the exact rates in regards to short term leasing. Prices do vary. We do have new homes however things can happen. If anything did happen as far as a water leak or AC issues in your new home, we have a very responsive and emergency hotline that will be available to our residents.